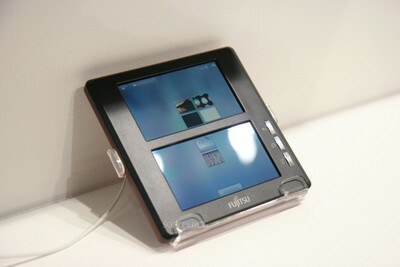 Ending the Mobile World Congress 2011 (MWC 2011) on a good note, Japanese handset manufacturer Fujitsu showcased its new dual screen smartphone concept. Whereas mobile handset manufacturers are working on new OS platforms, including the Android and Windows Phone 7, the concept phone was seen sporting a Symbian mobile platform. You might be a little bit confused on the Symbian part but according to company officials the OS delivers something special. Fujitsu’s dual screen smartphone comes with a social networking-oriented User Interface, offering users a true social sharing experience. Pictures can easily be shared with the drag-and-drop option, letting users share photos with each other easily. With the help of the dual-screen, users can divide the ‘social’ and ‘personal’ experiences into two screens, making it easier to interact with others. The smartphone rolls in the swivel form factor, which is replaced by the traditional keypad by adding the second large touch screen. Furthermore, the screens can be easily rotated, adding the possibility to use the two displays as a single larger screen. 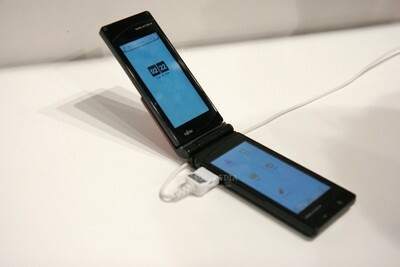 The Fujitsu concept phone also integrates the waterproof technology, which is based on “miniaturization”, adding possibility to embed in most mobile devices.